Recognizing the challenges that girls of African descent face with issues of cultural displacement and positive cultural identification, Niambi Jaha-Echols was inspired in 2002 to write her first book, Project Butterfly: Supporting Young Women and Girls of African Descent Through the Transitions of Life. The book inspired the creation of Project Butterfly New Orleans, numerous after-school programs across the country, and Camp Butterfly, a nationally recognized summer camp for teen girls. Today, Niambi is the Founder and President of The Butterfly Movement – an expanded personal development opportunity for women and girls. As a consultant and inspirational speaker, Niambi travels the country spreading love and light. Her writings, teachings and philosophies have influenced and inspired countless. 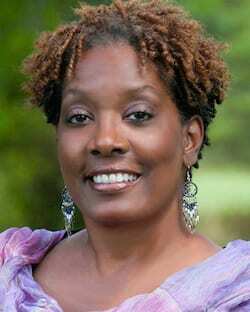 She is a co-contributor to the book, African Americans and Community Engagement in Higher Education, published in 2009 by SUNY Press. She is also the author of Inspiring The Souls of Our Girls, published in 2015 by Earth Light. Niambi lives in central North Carolina with her husband, Rod, and their son, Jelani, born in 2003.